Since 2002 we are the agent of Cormet in German language area. Cormet provides various kinds of loading devices for stress corrosion cracking (SCC), sulphide stress cracking (SSCC), hydrogen induced cracking (HIC), fracture mechanical and fatigue studies. 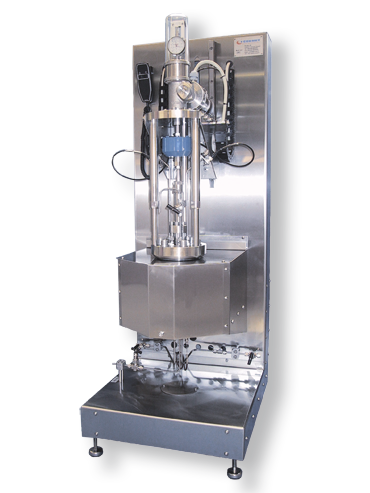 Cormet’s workhorse for stress corrosion cracking tests is a PC operated electromechanical loading device. It can perform Slow Strain Rate Tests (SSRT), Constant Load (CL) tests and Low Frequency Cyclic Fatigue (LFCF) tests. The loading device can be used in ambient temperature, autoclave and high temperature gas environments. There are several models available of which the 10 kN, 25 kN and 50 kN instruments are the most popular. The operational principle of the versatile and flexible controlling software is based on sequenced load patterns that can be combined and connected in series. The highest cyclic loading frequency of Cormet’s electromechanical instrument is about 0.1 Hz depending on the amplitude, loading mode and loading pattern. Servohydraulic or electrically operated loading instruments are needed for the higher cyclic frequencies. Cormet can integrate an autoclave into such a loading device or integrate the servohydraulic actuator with a Cormet autoclave. The core of the HIC instrument is a glass container in which the specimens are assembled. However, the accessories including gas volume flow meters, water traps, draft cabinet, ventilation and gas neutralization tools make the instrument more complicated. The HIC testing procedures are described in NACE TM0284-2011. Operation of four point bending (FPB) instruments is described in NACE TM0177-05 Method B, ASTM G 39-2011 and ISO 7539-2 (1989). The FPB tests are often performed in HIC testing containers. Constant-load instruments are used for evaluation of critical stress in a given environment using the Time-to-Failure (TTF) value as a testing result. Standards NACE TM0177-05 Method A and ASTM G 47 – 98 (2004) describe how to perform the constant load tests. Cormet offers spring loaded and motor controlled constant load instruments. steam turbines, deep sea applications, etc. A large water volume reduces the effects of corrosion products on the water chemistry. Water can be regenerated in ion exchangers, UV-cell and filters. The dissolved oxygen and hydrogen concentrations, pH and conductivity can be monitored and controlled. Recirculation loops provide a reproducible and valid test environment that leads to reproducible and valid test results. the operation is control of the dissolved oxygen concentration and maintaining a low water conductivity in BWR and SCW applications. materials is often Hastelloy C-276. various kinds of situations in steam turbines. An autoclave is basically a test cell for high-pressure and often high-temperature environments. 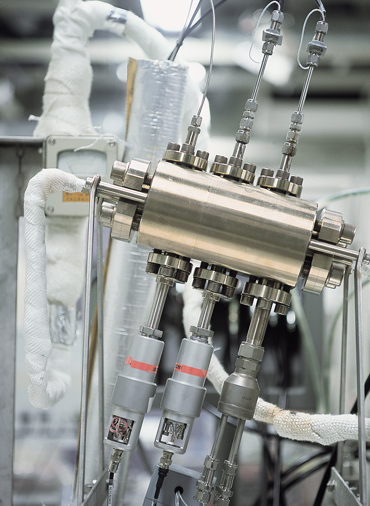 Autoclaves can be used as static independent autoclaves and as dynamic autoclaves when connected to recirculation loops. Autoclaves as well as test loops can be manufactured from various materials: stainless steel is a standard material but more corrosion resistant materials such as Hastelloy and titanium are used, too. For low-temperature applications, autoclaves can be coated with Teflon too. Autoclave geometry is typically cylindrical, but they can be manufactured in different forms depending on the application. A flow through cell is essentially a tube through which there is a water flow. Electrochemical sensors and corrosion probes are installed through the bottom and top lids. Low-pressure test cells allow more freedom with the design because a cell does not have to contain the pressure. 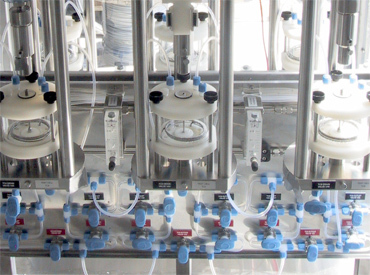 Test cells for Hydrogen Induced Cracking (HIC) are often large glass walled containers in which tests according to NACE TM0284-11 and TM0177-05 Method B are performed. Autoclaves can comprise many instruments such as electrochemical tools, electromechanical and servohydraulic loading devices, mixers and rotating electrodes. Top of Line Corrosion (TLC) instruments are used for studying the corrosion caused by condensed water in a pipeline. Cormet has a versatile TLC instrument with continuous bubbling and a cooled finger-type specimen. Optionally, there is a small funnel under the specimen where water drops condense. This water can be taken out of the autoclave for chemical analysis or electrochemical tests can be performed on line in the funnel. Hydrogen permeation tests are performed according to ISO 17081:2004(E) using a two cell autoclave with a steel plate between them. A corrosion reaction producing hydrogen takes place in one autoclave. Hydrogen permeates through the steel plate into the other autoclave, where the hydrogen content is measured using an electrochemical method. Cormet has built this kind of instrument for high-pressure high-temperature applications with a loading device applying stress on the steel plate. One can study the effect of pressure, temperature and stress on the hydrogen-permeation kinetics. Cormet manufactures various kinds of tools for high-pressure high-temperature water-chemistry monitoring and electrochemical testing. Ag/AgCl reference electrode for 300°C temperature and 18 MPa pressure. Pd/H2 reference electrode for 300°C / 350°C temperature and 18 MPa pressure. Cu/Cu2O/ZrO2 or Ni/NiO/ZrO2 reference electrode / pH sensor for 300°C / 350°C temperature and 18 MPa pressure. Conductivity electrode for 300°C temperature and 18 MPa pressure.Platinum redox probe for 300°C / 350°C temperature. Corrosion probe / working electrode for 300°C / 350°C temperature. 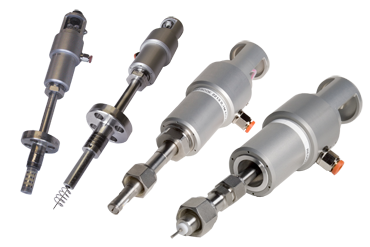 These sensors can be attached to any kind of autoclaves, flow-through cells and pressure vessels as long as there are suitable ports available. Trendchem The Trendchem product family includes water chemistry sensors, flow through cells and a data acquisition system. It is used to monitor water chemistry parameters and perform electrochemical tests. 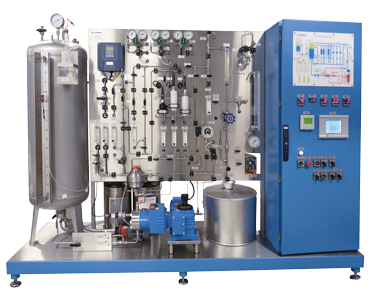 A Trendchem instrument can be installed in a power plant or process industry process line or in a recirculation testing loop. CER technique The Contact Electric Resistance (CER) technique is a method of examining surface films. It measures electronic conductivity of surface films using a direct current (CER) or alternating current (Contact Electric Impedance, CEI) principle. CER is normally used for detecting surface films, monitoring surface-film growth kinetics and determining of surface-film semiconductive properties, i.e. information about film structure and defects. CER/CEI is often used in difficult environments in high temperature high pressure applications where other electrochemical tools and surface-study instruments do not work, for example in super-critical water environments at 600°C temperature and 30 MPa pressure. An MPT is a multichannel instrument for potentiostatic tests. The eight-channel instrument has one potentiostat-controlled anchor channel. Seven sub-channels follow the anchor channel potential with certain potential offset values. An MPT is an effective tool for mapping a material's electrochemical behaviour at various potentials simultaneously. 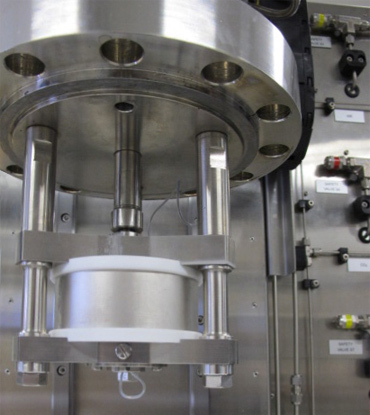 Controlled-flow laboratory tests are performed to study flow assisted corrosion (FAC) and erosion-corrosion phenomena, to select inhibitors and to study the effect of mass-transfer phenomena on material’s electrochemical properties. 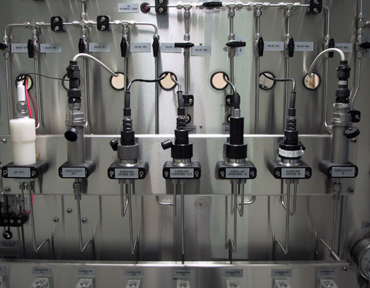 Cormet manufactures several controlled-flow laboratory tools for high-temperature high-pressure environments. Useful information about controlled-flow laboratory instruments is given in ASTM G170 – 06 “Standard Guide for Evaluating and Qualifying Oilfield and Refinery Corrosion Inhibitors in the Laboratory” and ASTM G184 – 06 “ Standard Practice for Evaluating and Qualifying Oil field and Refinery Corrosion Inhibitors Using a Rotating Cage”. Rotating electrodes are the most widely used controlled-flow lab instruments. A Rotating Disc Electrode (RDE) is a simple tool where the working electrode current depends on the square root of the angular velocity. A Rotating Ring Disc Electrode (RRDE) is used for the quantitative and qualitative identification of species dissolving on the disc shaped working electrode. A Rotating Cylinder Electrode (RCE) provides a uniform shear stress on the cylindrical surface. A Rotating Cage (RC) is a specimen holder for rotating coupons – the weight-loss data is basically used for inhibitor selection. An Impingement Jet has a pump that pumps water through a relatively small diameter nozzle perpendicular to a specimen. At a certain distance of the jet centre point, the shear stress can be defined. 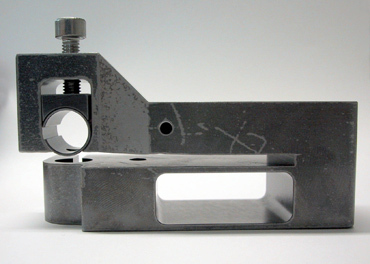 The Impingement Jet creates higher shear stresses than a regular RCE. 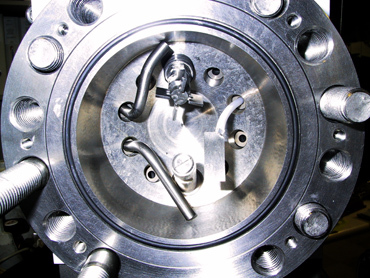 A high speed loop is a versatile instrument to study the effects of flow on corrosion and electrochemical behaviour of materials. It can be used to test not only standard specimen geometries but different kinds of real-life geometries such as elbows, bends, valve bodies, etc. 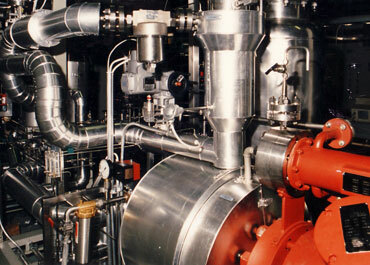 A high-speed loop can also be used to simulate heat exchanger operation. These instruments are often complicated, large and expensive. Usually Cormet provides corrosion-testing instruments. Sometimes a test instrument is not enough and the operator needs tools and know-how to support processes and possibly safety-related features. Cormet can provide large testing entities and entire laboratories for its customers. These projects are always customised turn-key deliveries including instruments, installation, training and after-sales support. 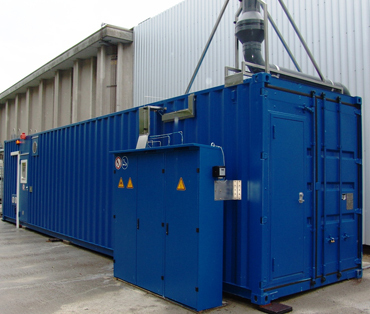 Laboratories can be built in conventional buildings or in containers. Cormet has built laboratories for steel industry quality assurance and R&D purposes for operation in an H2S environment. We have also built instruments for hot-cell laboratories.